We kick off our '20 Weeks of GIMP Tips' series with an easy-to-achieve way of changing the color of any bright object. 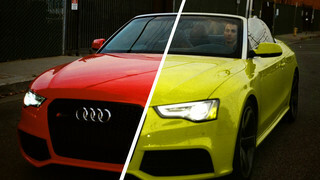 We'll use cars in our example, and show you how the GIMP can be used to achieve this realistic effect in just seconds. We'll also share the inside scoop on what the closure of PasswordBox means to its users.